The Ticks Never Left but They’re Hungrier than Ever! A tick(ing) time bomb is set to explode this season, in fields, forests and yards across the country, as we head into what is expected to be an extremely heavy tick season. And with ticks, come the dangers of tick-borne disease, namely Lyme disease. Health and insect experts are calling it a perfect storm of conditions coming together to create a tick population explosion. Specifically, the mild winter has allowed ticks, much like other insects to thrive and emerge and multiply earlier than usual. Ticks can lay up to 3000 eggs at a time, making their ability to reproduce one of the most alarming features about them! Along with this, their tendency to latch on to people and pets to feed makes them extremely mobile, meaning tick nests can span great lengths throughout your property. Contact Pestech and schedule an appointment to have a pest consultant inspect your property to identify high risk tick habitat. Make arrangements to have the high risk areas of your property treated on a schedule that is based on the life cycle of ticks. Your Pestech consultant will tailor a program to maximize results on your property. If walking in tall grass or wooded areas, dress in long sleeves and pants, tuck your pant legs into your socks and wear a hat. After returning inside from outdoors, take time to inspect your body for ticks. It’s very important to us that you and your family are safe from ticks. 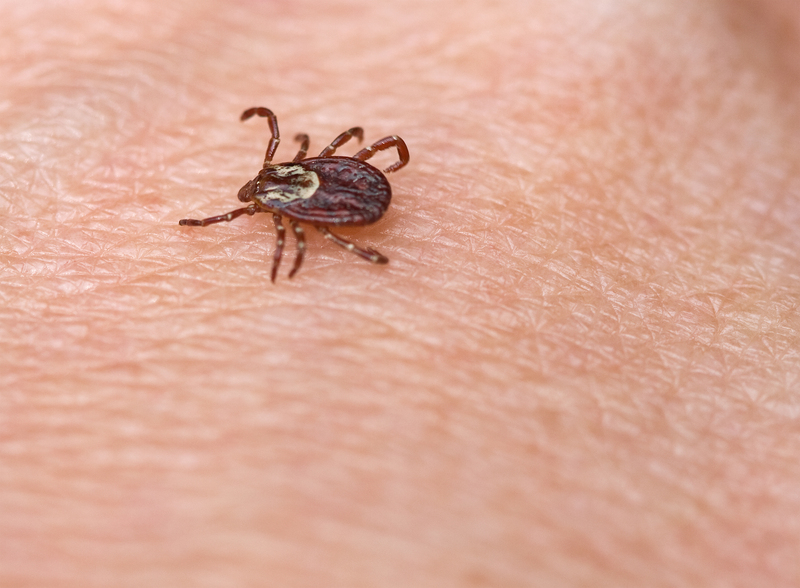 Call us at 800 287 BUGS or click here to fill out a form to schedule your tick treatment today! The longer you wait, the more at risk your family is!